Sioux Falls resident Allen Lewis has been a science fiction reader all his life, and he’s now donating his 18,000 volume-strong library to the University of Iowa. 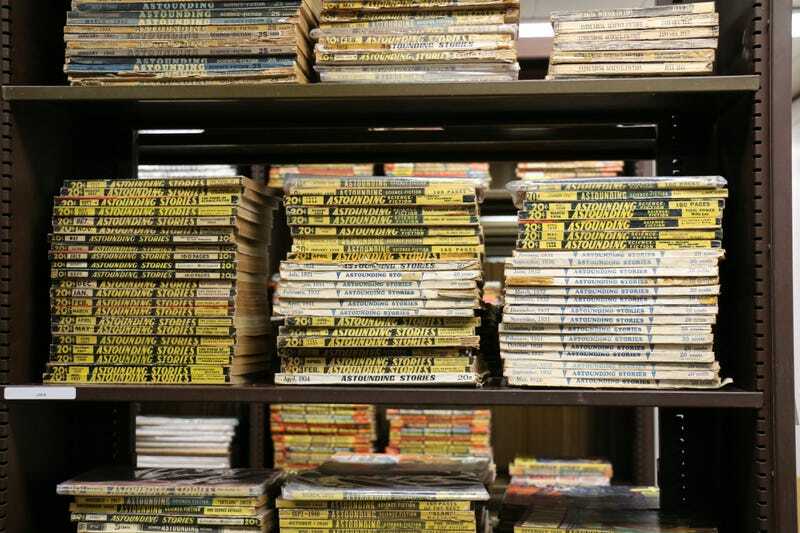 This comes just a couple of years after the University received a massive collection from James L. “Rusty” Hevelin, which spanned a century of science fiction’s history. Lewis’s collection adds to the University’s already massive collection of science fiction fanzines, magazines and novels. The Hevelin collection is currently in the process of being digitized. Lewis noted that his collection fits in nicely with the University’s existing holdings, because most of the volumes have been published more recently, and most are signed. Now, out of space, he’s turning the collection over to the University, where it’ll be on hand for scholars.